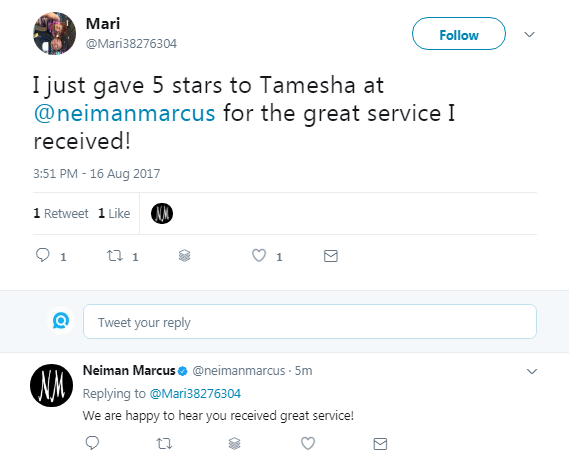 How to use social media monitoring for the perfect customer service. You probably think this post isn’t for you because your customer service is already good enough. You are probably wrong. It turns out, 80% of companies believe they deliver “superior” customer service, but only 8% of customers think these same companies actually do. How can that be? You reply to your customers most of the time, you’ve got your phone number right in the Google results, you even have a Facebook page. Is it not you, is it them? Have customers’ expectations become too high? It’s hard to say as surely I don’t know your case. But research shows that customer service, although better than in 2013, is still a mess. Let’s look more closely. From their 2016 consumer survey, Survata, an independent research firm in San Francisco, found out that brands reply to just 11% of people (it’s like that since 2015), despite the ever growing demand from consumers to turn attention to social media. And when brands respond, they let people hang for an average of 10 hours. Now most people expect a response within four hours. And, as we know, most impatient people on Twitter actually want you to reply within an hour. The study didn’t stop at this alarming statistic. They’ve also researched what brands use their social media pages for, if that’s not interaction. You’ve guessed it – promotion! While we all love it, brands go a bit further. They send on average 23 promotional messages for every 1 response given to their audience. How do people feel about it? 73% of people have had a negative experience with a brand on social. 36% of people have used social to shame a company for poor customer service. 30% of people will go to a competitor if a brand doesn’t respond. OK, so some people aren’t getting the response they wanted. They’ll just use the phone next time! Why should we change? What’s in it for us as brands? Customers spend 20% to 40% more with companies who engage with them on social media. 71% of customers who received a quick and effective response on social media are likely to recommend the brand to others. That is compared to just 19% of those that don’t receive any response. It’s all about the loyalty and the word-of-mouth, and it’s worth the effort. How can social media monitoring change the situation? First of all, it can’t until you face it – social is a channel for customer service. It’s as important as your phone, your email address and the owl bringing you angry letters from customers. In fact, SproutSocial found that 90% of surveyed consumers used social media to gain customer service and 34.5% said they preferred social media to traditional channels like phone and email. Customer service has become multi-channel. If you’re receiving too many messages and get lost and confused with all these ways of communication, consider introducing an integrated, multi-channel customer service platform. 2. Monitor your brand, your CEO, your company representative. Also the names of specific shops, restaurants, names of the product (e.g., if that’s a book) and anything else you deem important and possible for people to comment on. Problem is, we don’t actually know why the difference between the level of customer service perceived by brands and by customers is that different. It might be because brands don’t receive a significant percent of complaints due to them being addressed to the wrong twitter handle or not addressed in the right way on social media at all. By simply relying on notifications from every social network, you risk missing too much. 3. Reply to (all) questions, comments and complaints. 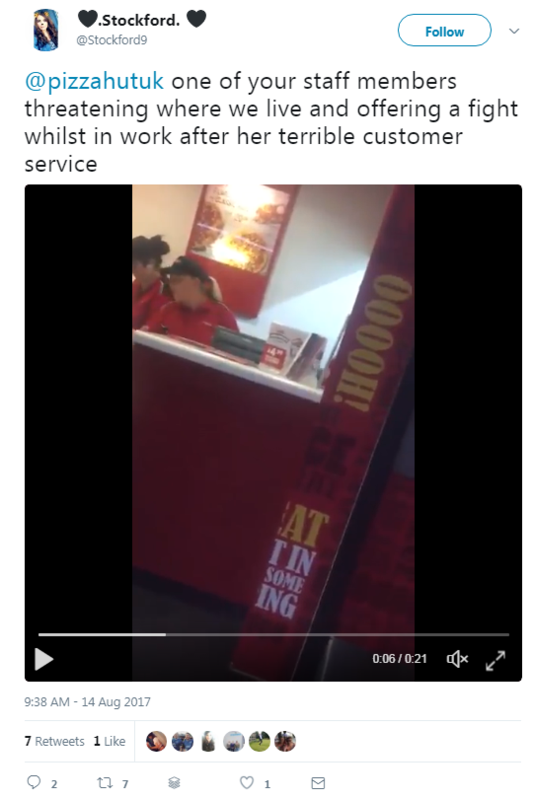 Apologize to the angry customer. Even if the issue isn’t necessarily your or your company’s fault. Whatever the case is, don’t be defensive. Take the conversation to the DM or Facebook messages if it’s getting too long. Don’t delete or hide any comments even if they harm your reputation. If you’ve made a mistake, admit it. General references, questions and reviews to your products or services. Positive feedback – it is nice to thank or “like” mentions that praise your product or service. Comments about your brand or industry that weren’t necessarily targeted at you. Keep in mind that not every author of the mention wants to be listened to by the company. Before replying, before even deciding to reply, consider the context of the mention. Is that a dialogue that wasn’t meant for your ears? Only engage when you can deliver value and add something useful to the conversation. 4. Analyze the mentions to constantly enhance customer service. How often are technical or account-specific questions asked? How many comments provide feedback, positive or negative? How many questions can be answered with existent FAQ or knowledge base? How many brand mentions benefit from a response? How many people are reached by the mentions of your brand? These questions will help you plan staffing and resources, adjust your social media strategy and plan the lines of support. a) Consumers are almost 2x more likely to recommend a brand that replied to them with a quick but ineffective response than a brand with a slow yet effective solution. b) According to research from McKinsey, 70% of the buying experience is based on how a person thinks they’re being treated. Now the first one is completely arbitrary in my opinion, and can only be explained by the general irrationality of people. The second one is equally puzzling because “being treated” is a subjective notion, and most businesses genuinely attempt to treat customers nicely. But in any case, it’s easy and important to draw conclusions from these studies. Firstly, reply quickly. Even if you don’t have the answer. Let the customer know they are heard right now. Secondly, you can’t be too polite or too friendly with your customers. Give it your best shot. What is your experience with customer service? How are you dealing with it? Please share your ideas in the comment section below!